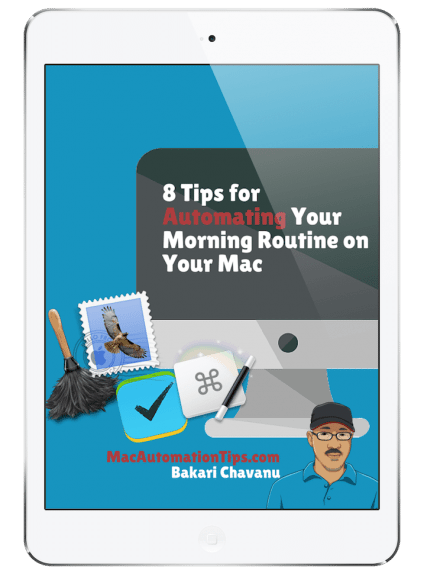 The key to being more productive on your Mac is using automated features built into the Mac operating system, and third-party programs that can automate one or more tasks for you. The purpose of the following list is to provide you ideas about what features, applications, and strategies you could use to work smarter on your Mac. The recommendations don’t go into details, but I do provide link to articles that might be helpful. You can also research this site for more suggestions. Use Keyboard Maestro day and time actions to automatically open bookmarks, files, folders, and applications so they are ready when you arrive at your Mac in the morning. 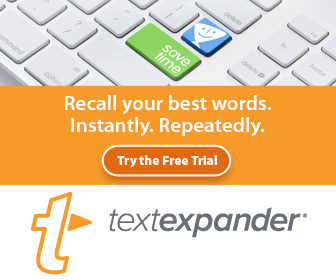 Use a text expansion program, such as TextExpander or TypeIt4Me to type frequently used names, titles, URLs. An expansion program is a huge time saver. Instead of opening your Finder, use Spotlight, Alfred, or LaunchBar to perform Google searches and to search and launch files and applications. These programs reduced the need to open Finder folders to location files and applications. If you work on a lot of text documents, you should definitely be using a clipboard manager to store all the clippings you create. Programs like iClip, Copied, and even Alfred can not only store all your last say 100 clippings, but they also allow you to manage clippings for later use. Use smart folders to filter emails based on rules that you set. Such folders save you from having to manually drag files to folders and they could be used to reduce the amount emails in your Inbox. Smart folders are also apart of the Finder, smart albums in Photos, and smart playlists in the iTunes music player. Use either Apple’s Keychain application or a password manager like 1Password or Dash to manage your logins. You absolutely should not be using the same one or two passwords for all the websites you use. A login application will save you the trouble of remembering and typing complex passwords. Use recurring dates and tasks in a digital calendar and/or task manager. These features will put your mind at ease when it comes to remembering tasks and events that you need to be reminded of on a weekly, monthly, or annual basis. Get in the habit of using or creating templates for documents that you create on a regular basis. There’s no point in reinventing the wheel when all you have to do save your document as template to reuse when needed. If you’re using Mac automation programs like Keyboard Maestro, Alfred, or BetterTouchTool, you should be creating workflows that automate as much as possible the steps you take to complete a task. 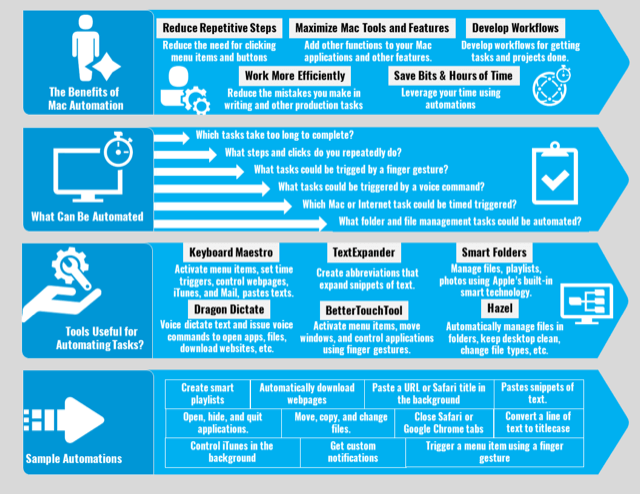 Observe the menu items, keystrokes, and mouse movements you use to perform a task, and then create a automated workflow for part or all of the task. Have multiple ways to trigger actions on your Mac. For example, you can easily trigger a screenshot using the universal keyboard shortcut (Command+Shift+4), but you should also be able to trigger a shot using a BetterTouchTool figure gesture. You also set up a voice command on your Mac to trigger a screenshot. Having multiple ways to trigger actions is a huge time saver. Your feedback, questions, and ideas are important to the development and content of this website. Leave a comment below and I will be sure to respond.